I am a writer and a fiber artist. 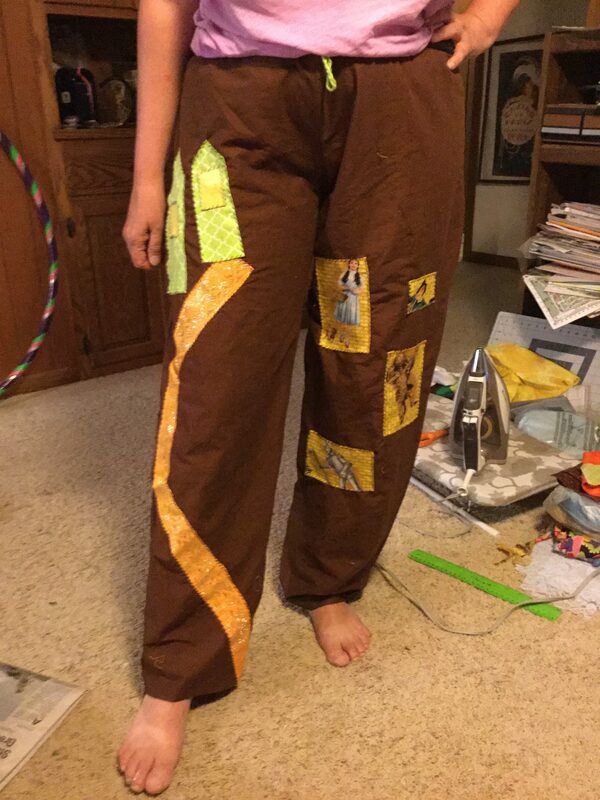 My passions are poetry, up cycling clothing, and embroidery. I do enjoy subversive needlework. In the pictures are some projects I have finished recently and not so recently. 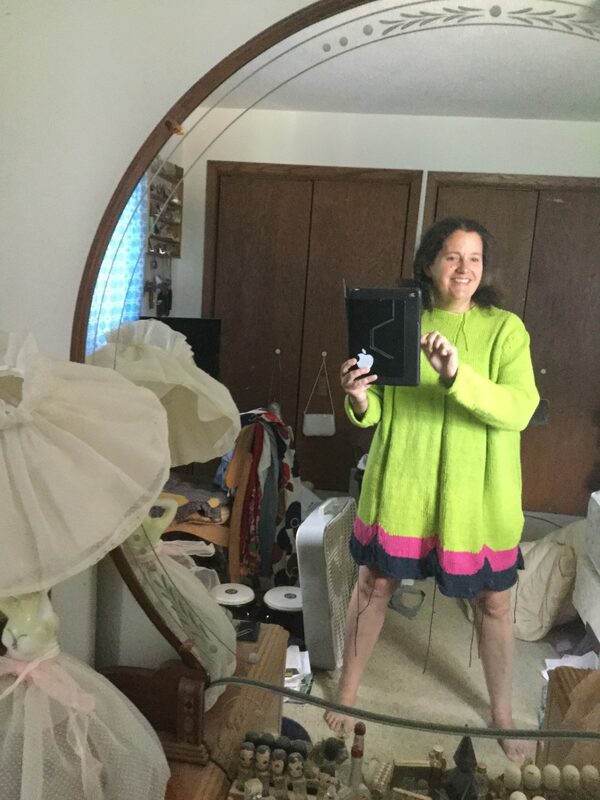 Enjoy the lime green and pink dress made from a vintage pattern. This is not for sale. The Oz pants are for sale. I will post them at my ETSY soon. 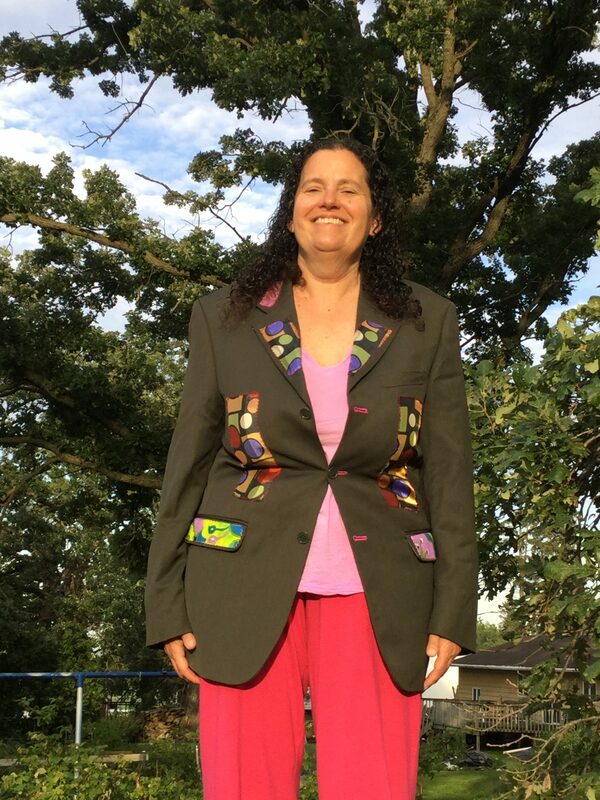 The FUNked up coat IS for sale and works well for between seasons, like going from summer to fall or winter to spring. But you can wear it whenever you want. What are your fiber passions? Yarn? Embroidery thread? Sewing thread? What about the smell of new fabric. I love that smell.